Stephen Colbert has done it. The “Late Show” host came from behind to unseat Jimmy Fallon as the most-watched late-night television host of the September-May television season. The CBS 11:35 p.m. series did most of its damage after Donald Trump entered office. Since the week after this POTUS’ inauguration, Colbert has been No. 1 for the day part in terms of overall audience members. This is pretty much the first time since 1994-1995 that CBS could claim the top slot in total viewers — at least, on an apples-to-apples basis. In 2009-2010, when NBC replaced Jay Leno with Conan O’Brien, CBS took advantage of the instability and took the overall eyeball crown. 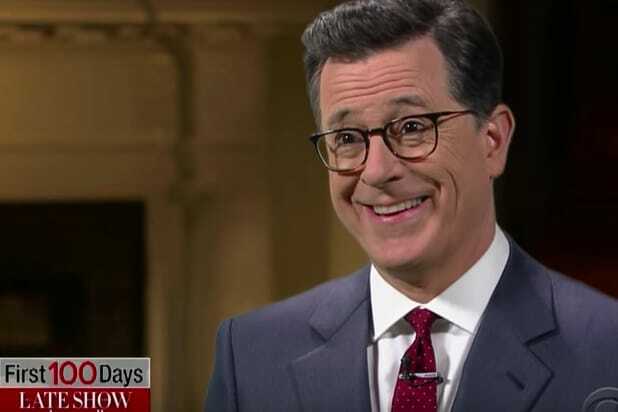 “The Late Show” was the only late-night program to post year-to-year growth in total viewers, rising 11 percent from last season’s 2.89 million. “The Tonight Show” still beat its competition among viewers 18-49, however. And lately, Fallon has increased his lead there and tightened the total viewer one. Also, late-night doesn’t really adhere to the same traditional season that primetime does — it’s more of the 12-month variety.